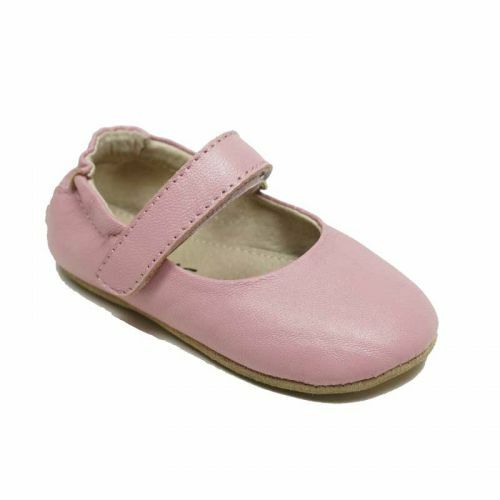 These lovely baby girls shoes are a soft pink that makes them stunning for every day wear or a special occasion. 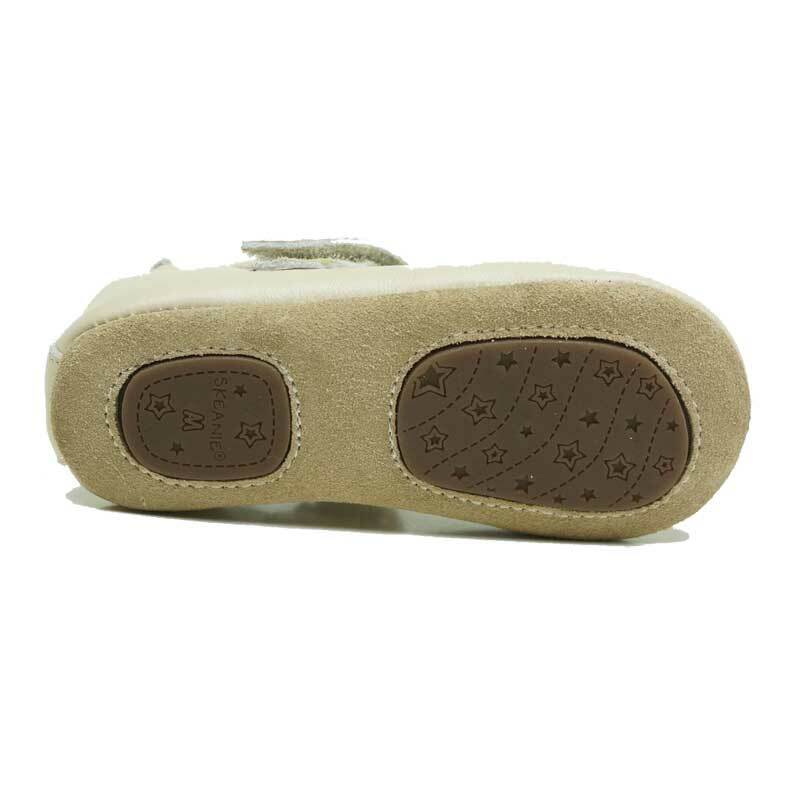 They are made from a soft leather and have a soft suede sole, just perfect for your baby girls growing feet. 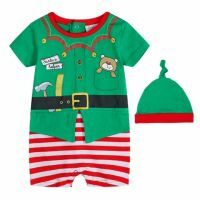 They make a delightful baby shower gift. The elasticised ankle collar and strap keep the shoes fitted snugly whilst the textured suede sole provides superior grip when crawling or walking. All SKEANIE Shoes are designed in Australia and are Fair Trade Made. The size Small has a textured suede sole to for suppleness and grip and the size Medium and Large feature a split rubber sole for flexibility and endurance. Skeanie recommends that you spray you cute little shoes with a water and stain repellent prior to wear and then simply wipe over with a clean and damp cloth or leather wipe. They not be placed in the washing machine or dryer.